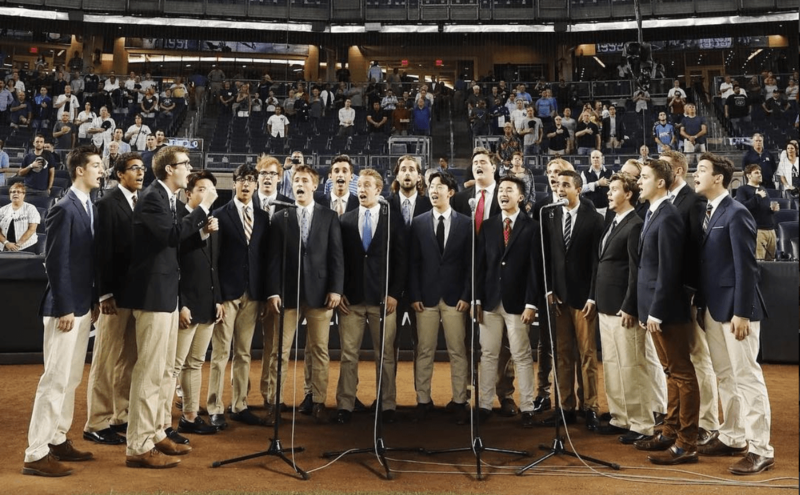 The Williams College Octet is an all-male, Taylor Swift-approved a cappella group founded in 1940, making it one of the oldest collegiate a cappella groups in the country. Originally an actual octet, the group has since expanded in order to perform contemporary music, which often requires a few spare guys for percussion, dubstep drops and crowd-surfing. Each year, the group performs two mid-semester and two final concerts, plus some other events throughout the Northeast and road trips to other schools. In becoming part of the Octet, you aren’t just joining a singing group — you’re joining a family of guys that you’ll have for the rest of your life. You’ll work hard — we meet to rehearse at least three times a week and arrange all of our own songs across a broad range of genres and musical styles. You’ll also play hard — the Octet has a long history of complex partying traditions that we put into practice as much as possible, and a tendency to find itself in hilarious situations on group road trips that make for unforgettable stories the morning after. When it comes down to it, these guys are more than just some people you’ll sing with in college. They’ll be the guys who stick around in your life afterward, the guys who will offer you a drink and a place to stay when you’re in the area, the guys who will sing to you at your wedding and beyond. Sound good? Check out our short guide to auditions for info on how to join the family.